And today, we have yet another one of those events, the protagonist being a Goshawk and the victim being a water balloon baited with a piece of the soon-to-be-dinner that, we’ll be honest, never stood a chance. 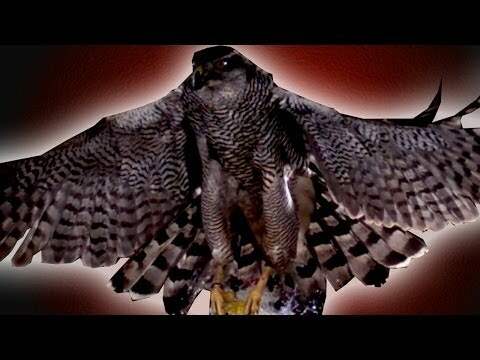 Created and posted by Earth Unplugged, a YouTube channel used to help fund BBC programs, this quick look at the hunting ferocity of the “cheetah of the sky” is just a small snippet of footage captured from their full episode, “Goshawk Hunts in Slow Motion“. While technical details are slim, from just looking at the videos, the high-speed camera in use looks to be a Photron FASTCAM model, coming in between 4000-5000FPS. Technical details aside, being able to take such a detailed look at the speed and accuracy with which the Goshawk closes in and snaps at its prey is astounding. It’ll certainly make you think twice about walking around your backyard with a steak on your plate at BBQs this summer.